They’re at it again. 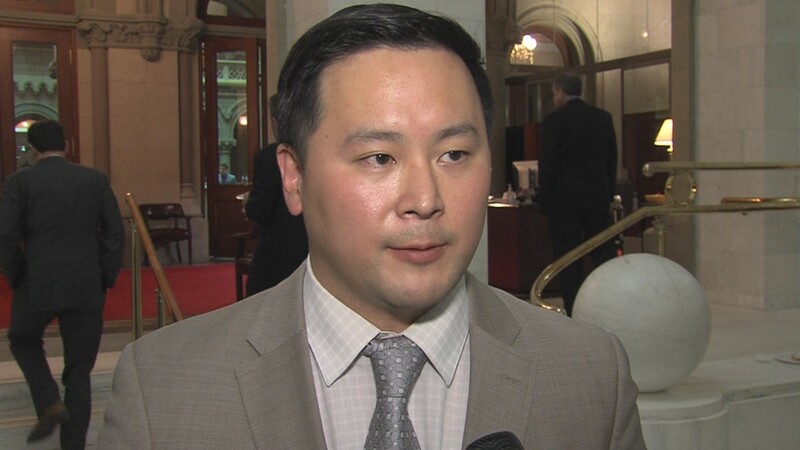 Less than a week after Democrats won control of the U.S. House of Representatives and the New York State Senate, two Queens representatives were already drifting off mission, threatening the agenda they were elected to fulfill. Let’s start with Alexandria Ocasio-Cortez. At the beginning of this year she was a waitress. Now she’s the congresswoman-elect for western Queens. Learning the specials of the day was one thing; learning to navigate Congress is quite another. Ocasio-Cortez has a month to figure out her priorities; pick a committee where she can advance those priorities; and cultivate mentors and allies to guide and support those priorities to pass at least one bill through the House in her first year. During this same month, she has to set up two offices, one in Queens and the other in the Bronx; hire staff; and find an apartment in D.C. Instead, Ocasio-Cortez is trying to take the lead on the campaign opposing Gov. 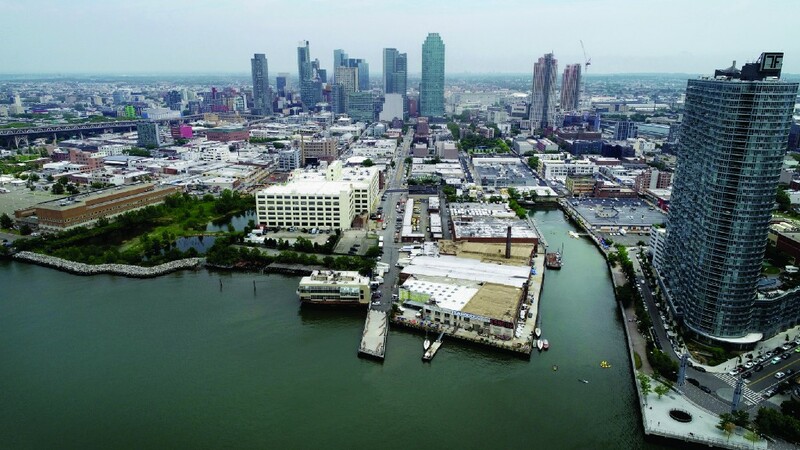 Andrew Cuomo and Mayor Bill De Blasio’s deal with Amazon to develop a rundown warehouse and manufacturing district in Long Island City into modern office space, where it can put 25,000 to 40,000 highly educated, highly paid people to work. She hasn’t even been sworn in yet, and Ocasio-Cortez is offending the governor and the mayor — and breaking with protocol by protesting a project in a neighboring congresswoman’s district — on an issue that, according to her own words, she knows nothing about: economic development. Ocasio-Cortez has demonstrated that social media is a terrific campaign tool, but she will require a lot more to be a successful member of Congress than being an Instagram influencer. Right now she’s a political pop star — but pop stars fade. Now is the time for Ocasio-Cortez to do homework. Maybe when she gets around to hiring a staff, one of its members will take on the role of limiting her screen time so that she will do some actual work. This week, Ocasio-Cortez posted a video on Instagram that showed her on the Amtrak from NYC to D.C. That’s a great four- to five-hour trip to turn off and read: bill memos, legislative memos or, even better, anything and everything by Robert Caro. Then, maybe, a year from now, Ocasio-Cortez will have some accomplishments to crow about, other than a bunch of social media posts. The congresswoman-elect also might learn by then how critical jobs are to the economy. More locally, state Sen. Michael Gianaris doesn’t have youth and inexperience as an excuse for mission drift. 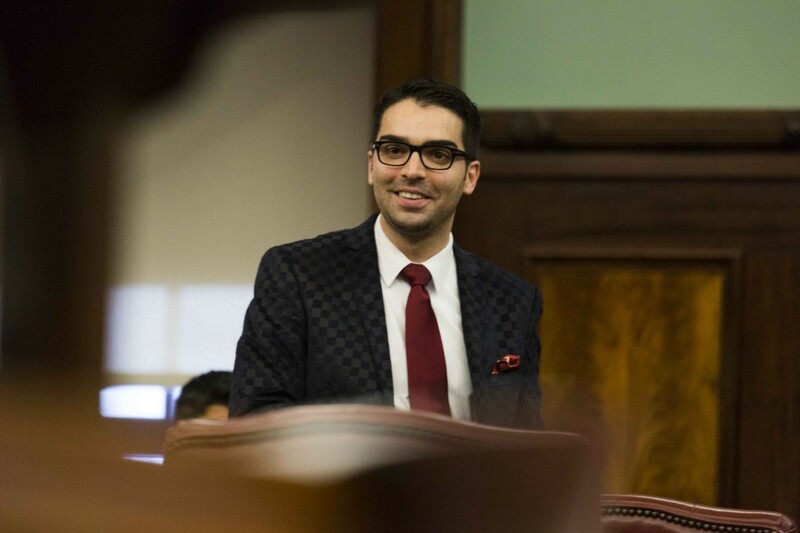 He has been a member of the state legislature for nearly 20 years and is the incoming deputy majority leader, making him the second–most-powerful person in the state Senate. Gianaris led the campaign for Democrats to win the majority in the Chamber. More than anyone else in New York State, he knows that holding on to the majority has been a serious challenge for Democrats. Gianaris also is the man whose job it is to track the promises made to get that majority. Now his job will be to whip his members into voting to fulfill those promises. And there are a lot of promises to fulfill. All the city’s top advocates for everything from children and tenants to reproductive rights and improved mass transportation are mobilizing to get legislation included in the budget the governor will present two months from now. And by the end of the legislative session in June, they all anticipate that some of the legislation that has long been blocked by the Senate Republican majority will be passed into law. That’s going to take a lot of work. And a lot of people will be watching. David Jones is the president and chief executive office of the Community Service Society. At a recent fundraiser for nonprofit advocacy-journalism outfit City Limits, he looked tired. He said that the coming year may be the most challenging of his career. 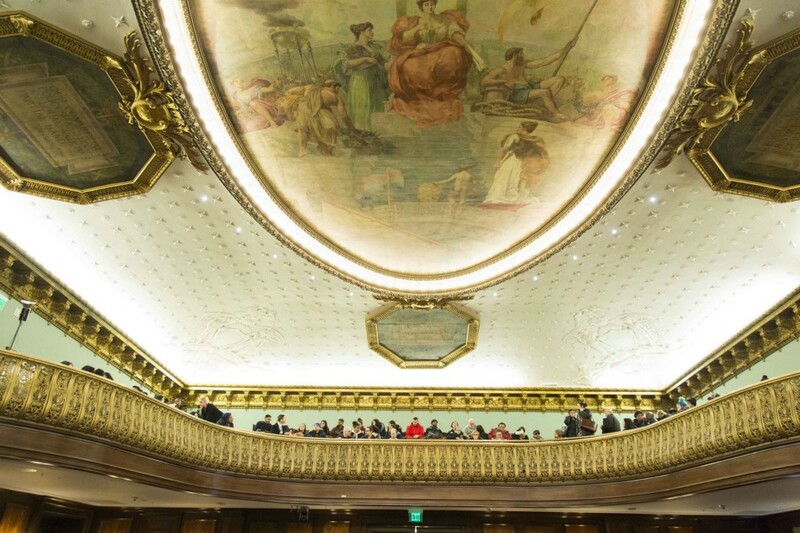 “Now we’ve got to get them to follow through on their promises,” said Jones, who is widely respected and admired as the city’s top advocate for the poor. So it was surprising that Gianaris, who has voted on the state budget 17 times since he was elected to the legislature — sometimes during economic crises when critical programs had to be cut — has been squandering his political capital by opposing the Amazon deal, which will not only bring billions in tax revenue to the state and the city, but a record-breaking number of jobs to his district. These are not only high-tech jobs with a minimum salary of $150,00 a year, but also all the jobs that will support those jobs. 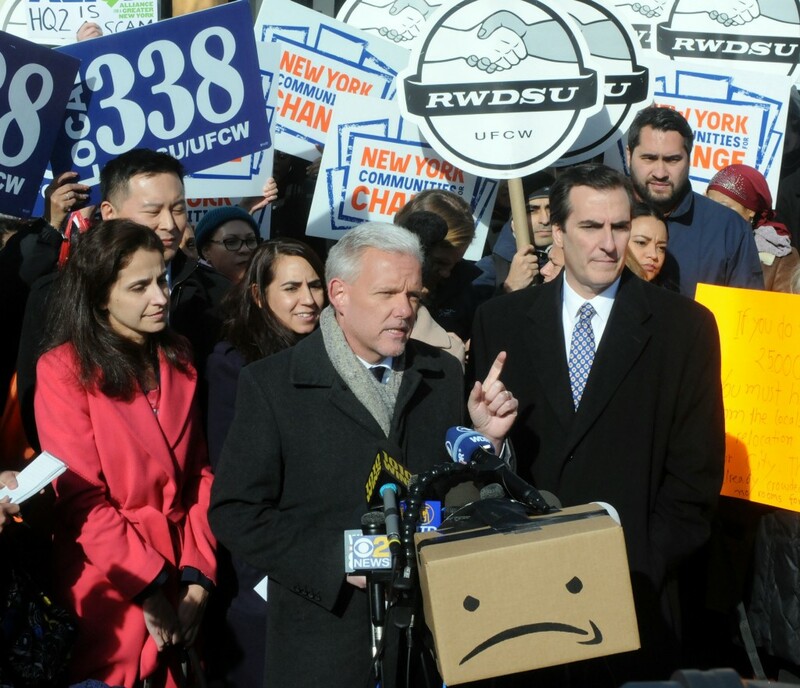 Gianaris needs to take a cue from 32BJ, the union that represents janitors, doormen and security guards. The union is thrilled about how many jobs this new complex will create. Also, this deal demonstrates that New York’s history as a pro-union state still makes it competitive with other regions. Gianaris needs to get his head in the game right now and figure out which bills the Democrats are going to push through the Senate and when. Otherwise he will learn too late that being in the majority leadership is a lot like kindergarten: His wards have very short attention spans and will always be whining to go out for recess. The governor and the mayor have given his district and his constituents an extremely generous holiday gift. Gianaris shouldn’t whine simply because they forgot to include his name on the giftcard.